Most people think of satellites, space stations or shuttles when they think of NASA, but airplanes play a vital role. One of NASA’s workhorse planes, the DC-8, is being used this month to provide insight on the health of the ice sheets and shelves at the southern tip of the world. 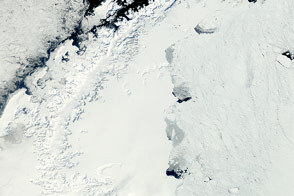 Scientists enjoyed this view of the Brunt Ice Shelf, south and east from the Antarctica Peninsula, on October 26, 2010, during the first flight of the Operation IceBridge fall 2010 campaign. The mission is called IceBridge because it is designed to span the gap in observations between the IceSat I mission, which recently ended, and IceSat II, slated for launch later this decade. Several times per week, the DC-8 airborne laboratory carries researchers and instruments from Punta Arenas, Chile, to select locations over Antarctica. The payload includes: a laser altimeter to map and identify surface changes; radar instruments to see below the snow and ice; and a gravity instrument to measure the shape of seawater-filled cavities at the edge of some fast-moving glaciers. 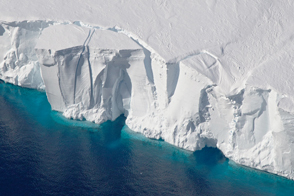 The dynamic, flowing ice of Antarctica is being closely watched for its potential impact on global sea level. The team re-visits certain features each year for the sake of monitoring changes in critical ice shelves and outlet glaciers. You can connect directly with the science team to learn more about the mission and working at the Poles during a live chat on November 18. Click here for more information. Postscript: That ghostly rainbow in the middle of the photo is not a camera effect. 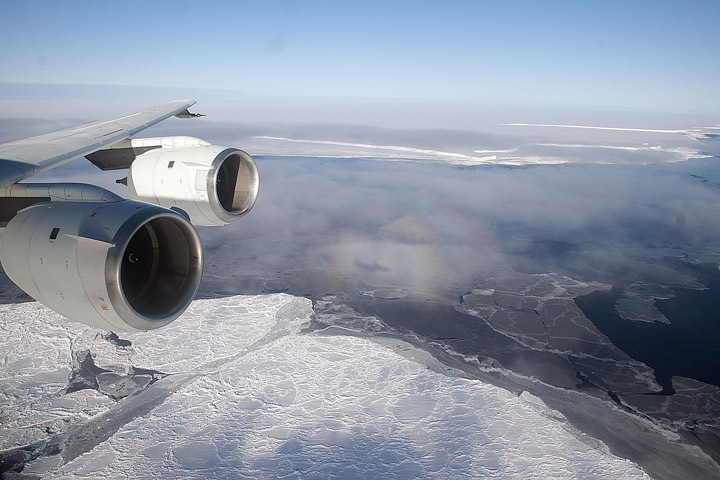 The distant shadow of the plane is surrounded by a glory, the scattering of light by water droplets and ice crystals in the air. Glories are one of many interesting optical phenomena that are more common in colder climates. 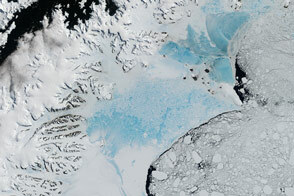 Photograph by Michael Studinger, NASA Goddard Space Flight Center. Caption by Michael Carlowicz. 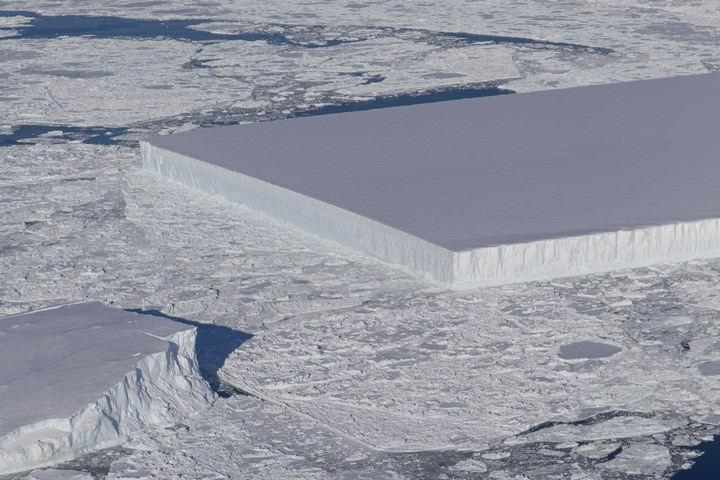 One of NASA’s workhorse planes, the DC-8, is being used this month to provide critical insight on the health of the ice sheets and shelves at the southern tip of the world.